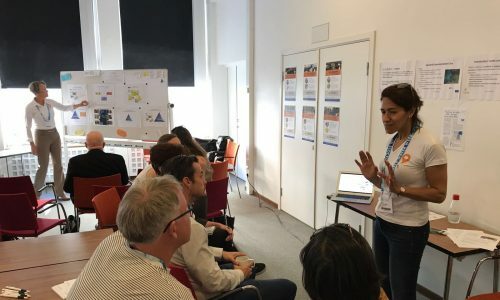 This interactive session explored the opportunities of citizen observatories to foster an integrated management of water supply and waste streams. Ground Truth 2.0 partners Earthwatch, Akvo, Stockholm University, Gavagai and IHE Delft presented different aspects of the overall GT2.0 approach at five different stations: key elements of the social dimensions of citizen observatories, example tools among the enabling technologies for citizen observatories and the Swedish Demo Case. Some 60 policy makers and representatives from CSOs, academia and the private sector attended the session, moving from station to station every ten minutes. Some participants, concerned about privacy and security, wondered whether we are not creating a situation where ‘Big Brother is watching you’. Presenter Nina Viereckel from Gavagai explained that no personal data from users are extracted and stored, so participants can engage in the citizen observatories without having to compromise their privacy. The large number of participants and the interactive discussions showed that there is interest in the topic of citizen observatories. One of the challenges discussed at the station on ‘Generating knowledge for science and policy’ by Ian Thornhill from the Earthwatch Institute is not a new one but revolved around the recognition of citizen science data by authorities and issues of data quality. What do authorities want in order to utilise citizen data? The method for co-designing sustainable citizen observatories, presented by Uta Wehn from IHE Delft, attracted particular attention from authorities and CSOs who were interested to use co-design methods for creating awareness, involvement and consensus among various stakeholders on contentious water management issues. Several practitioners shared their experiences – and challenges – with similar initiatives, ranging from Spain to India. They particularly appreciated the inclusive and sustainability-focused nature of the Ground Truth 2.0 co-design approach. At the fifth station, Tessy Cerratto-Pargman from Stockholm University presented the Swedish Demo Case, one of the six Ground Truth 2.0 Demo Cases. Its ambition is to foster two-way communication between policy makers and citizens on water quality conservation by adding hitherto unheard off citizen networks to environmental management and cooperative planning. The discussion at this station included the specific role of municipalities in the project and the need to carefully handle issues related to agency and power that are often present in interventions of this nature. Similarly, the challenges related to maintaining all stakeholders engaged and to ensure quality control and impact were raised in the plenary closing of the session, chaired by Steven Loiselle from the Earthwatch Institute. 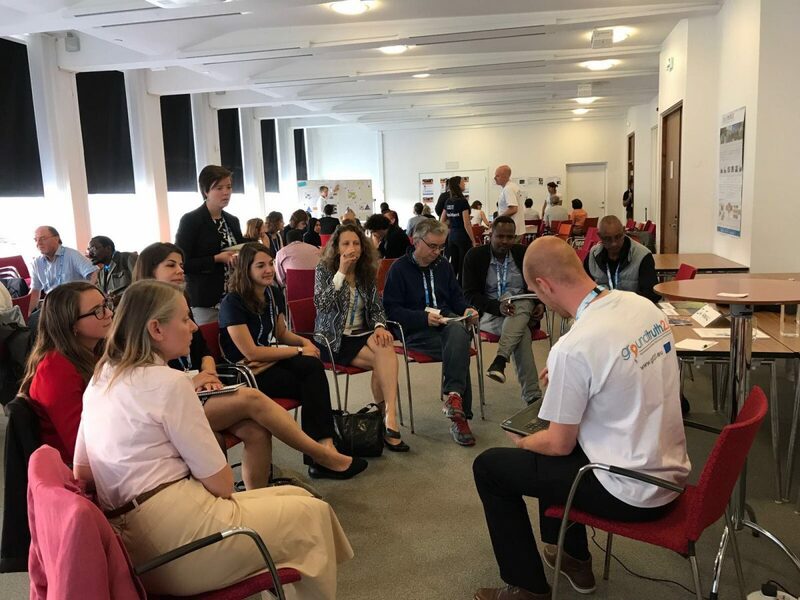 The lively discussion stressed the need for integrated bottom up approaches – and also that the field of citizen observatories is still relatively new for both, water authorities and researchers at SWWW. This shows that there is still a lot of ground to gain on this topic. This makes Ground Truth 2.0 all the more topical and interesting!